1. I listened to some records and cleaned my entire apartment because I woke up ridiculously early on Memorial Day. Who am I kidding? I wake up ridiculously early every single day, whether I'm working or not. That Muppet don't mind. 2. 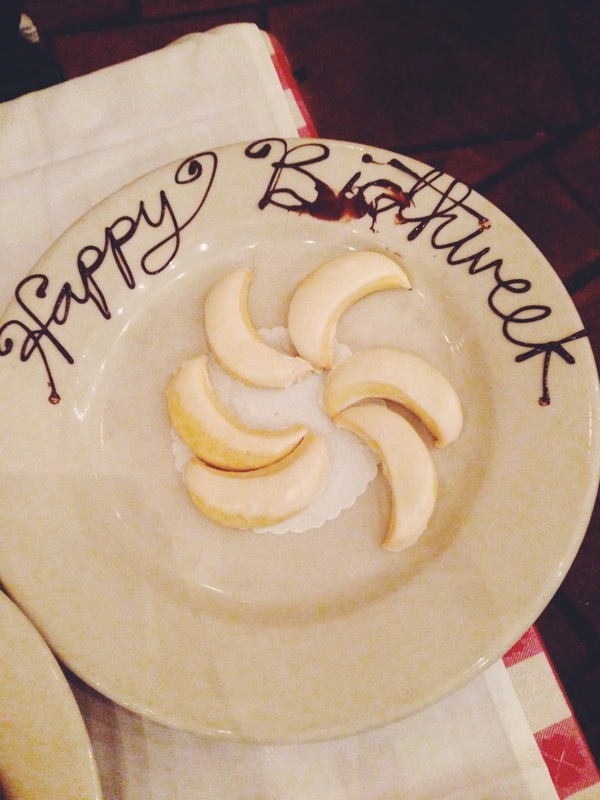 On Friday night, we went out for my birthday dinner and the waitress, who was from Jersey, brought out those cookies and wrote "Happy Birthweek" on the plate. I said I wasn't celebrating anything but when she looked at my ID when I ordered some wine, she realized we were probably out for my birthday. That's some good customer service. Mostly because she didn't sing. It would have been awful customer service if she sang. 3. Trader Joe's cold brew coffee is perfect. 4. The Grove is very blurry. 5. We watched Almost Famous outside at the Hollywood Forever cemetery and it was pretty damn cool. Everyone was dressed up in 70's gear and everyone packed picnics and wine and cheese and the entire place smelled like weed, which really brought out the whole 70's feel. 6. 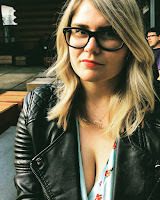 Hung out with my friend Kirsten on Sunday afternoon at her apartment in Atwater Village. 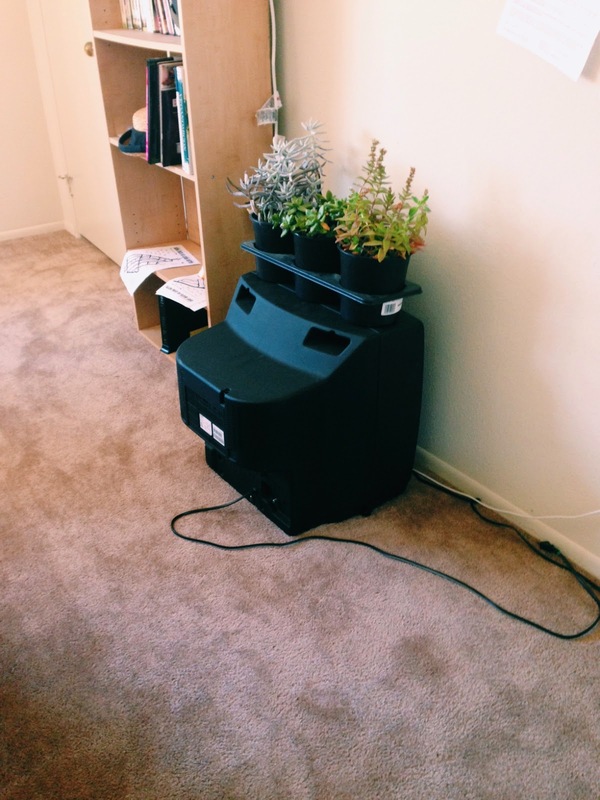 She had a TV covered in plants and it was turned around like it was in time out. She's so against having a television that she HAS a television but wants it to KNOW THAT IT'S WORTHLESS. Just kidding. Kind of. 7. Ruthie has been extra adorable and she sits on the couch like a human sometimes. Hope you all had a good Memorial Day weekend and remembered all the men and women who have died fighting for our country and what they believed in. Like Donald Draper, the original, who died and immediately had his identity stolen by his comrade. Rest in Peace.